This province has some superb reserves and shares some of the environmental characteristics of the more trammelled provinces of Yunnan and Sichuan to the west. Guangxi is still a province infrequently visited by birdwatchers despite the world-famous Guilin hills and a great bird list. Surprisingly, this province was also neglected by ornithologists after the 1930s. Since the mid-1990s interest in the province has returned and there have been a number of visits by birdwatchers, Shi Wan Da Shan and Da Ming Shan being two of the more popular reserves visited. Key species found in the province include White-eared Night Heron (which both breeds and winters here, mainly in remote forested river valleys in the east), Cabot’s Tragopan, Elliot’s Pheasant and Gold-fronted Fulvetta. A number of species occur in this province but not elsewhere in south-east China. Amongst these are two barbets (Golden-throated and Blue-throated), White-browed Piculet, Long-tailed Broadbill and Blue-rumped Pitta, Golden Babbler, Streaked Wren Babbler, Grey-bellied Tesia, Grey-cheeked Warbler, Yellow-bellied Warbler, and Dark-necked Tailorbird. There are a total of 64 reserves, which gives some indication of the richness of the province. These are concentrated in three areas – limestone hills hugging the Vietnamese border, the north-east mountains and the southern coastal reserves. The province is bordered by Vietnam to the south-west and the Gulf of Beihai, an arm of the South China Sea to the south-east. Further north the topography gradually becomes more mountainous culminating in Mao Er Shan 猫儿山, at 2142m, the highest point in the province. Most of the province lies squarely in the sub-tropical region and is populated by evergreen forests of which typical species are Cryptocaria chinensis and Castanopsis hysterix. Only in the mountains in the north is the forest partly deciduous broadleaf, including Quercus spp. In the south-west of the province Liquidambar Sweetgums are found in some areas. In parts of the south there are monsoon rainforests populated by the Dracontomelon duperreanum and Olea spp. The western part of the province is generally much drier than the east. International airports are located at Nanning 南宁, the provincial capital, and at Guilin 桂林. There are flights from Hong Kong to both and, in addition, flights to Nanning from Hanoi, and to Guilin from Seoul and Fukuoka, Japan. There are also direct chartered flights to Beihai 北海from Hong Kong four times a week. Daily flights are also available from Shenzhen to Beihai. Finally there is an international border at the Youyi Pass that leads into Vietnam. Internally, transport is quite good and improving. For example, a new highway has recently been completed, from Shankou on the Guangxi coast at the Guangdong border to Nanning, and a fast bus can now do the journey in less than four hours. The western half of the province is by far the least accessible, particularly approaching the borders of Yunnan and Guizhou. 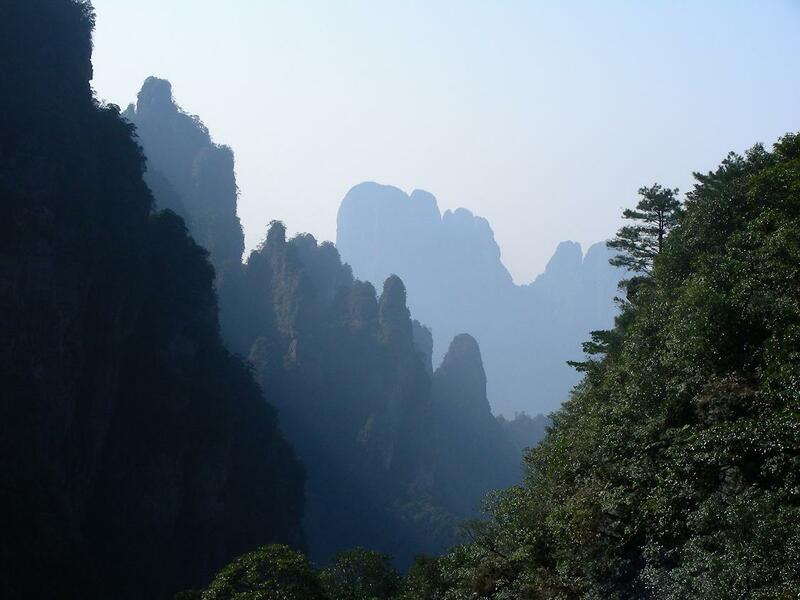 Guangxi reserves can be sensibly divided into groups depending on accessibility from a handful of key provincial towns. Along the southern edge Na Po, Jingxi, Daxin and Longzhou are convenient bases for different groups of reserves. In the west Baise and Xilin are the corresponding equivalents, while this position is taken in the east by Yangshuo and Longsheng. The provincial headquarters for the department is located at 133 Qixing Road, Nanning tel. (0771) 2845812. Staff there are very helpful and are used to dealing with foreigners. Good maps of the province are readily available.